In the Tarrington Tower there are six bells that have been calling congregations to worship and marking rites of passage for many years. 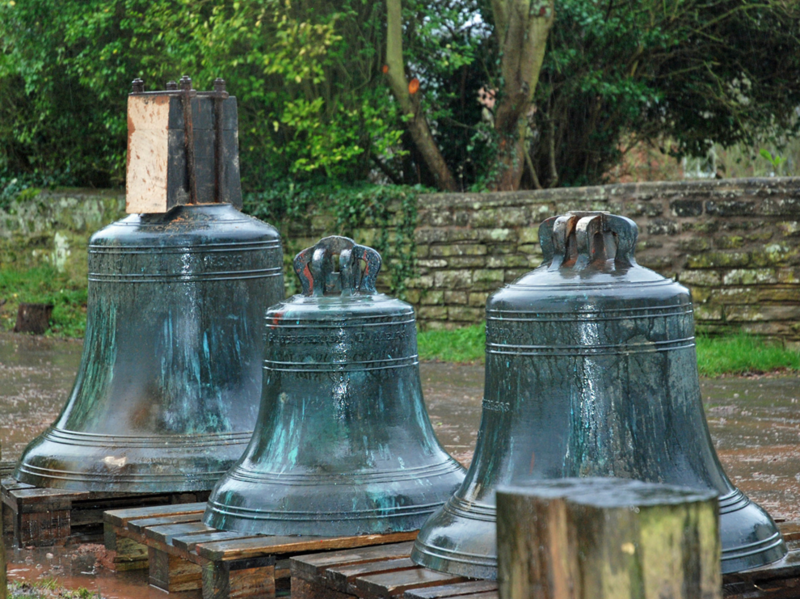 In February 2014 the bells were removed from the tower and taken away for a complete overhaul. 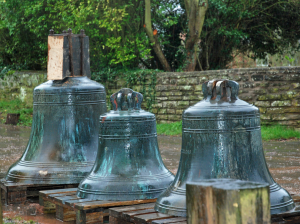 In July the bells returned from Dorset, the repairs to the frame were completed and our church bells rang once again in Tarrington. 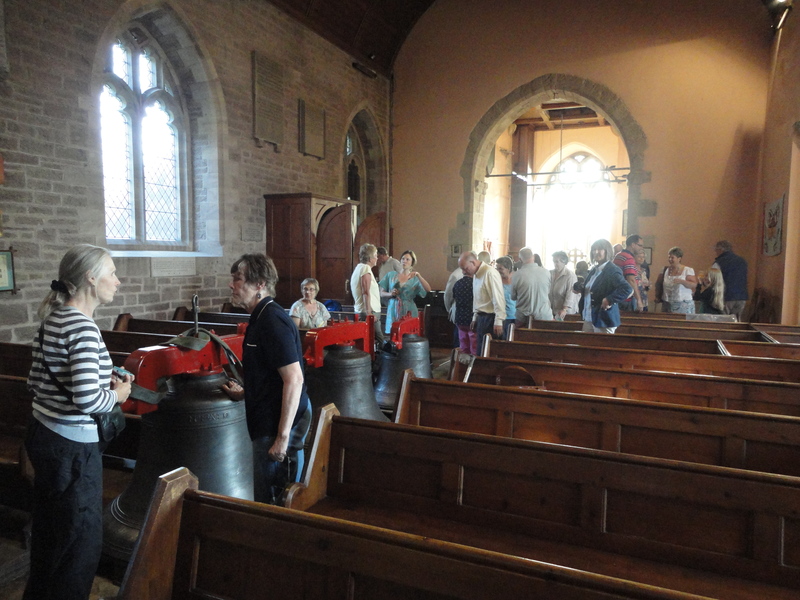 For the money to pay for it all we are much indebted to all those who regularly contribute money to the National Lottery and to the financial assistance of the Diocesan Guild of Church Bell Ringers. We are indebted in other ways to Robert Hodges and his band of helpers who worked so hard preparing for and assisting the bell hanger. As part of the George Evesham exhibition that we are creating, a screen is being installed near the tower so that the bells can be seen in action. It is a remarkable sight which apart from the occasional visiting bat, few have seen before. If you would like to see this for yourself, come to a service when the bells are being rung or to the tower on a practice night. If you can ride a bike you can ring a bell! Bell ringing is a team activity that stimulates the brain and helps to keep you fit. It also makes a glorious sound. Ringing is well within the capabilities of most people. The initial training takes several weeks after which a learner can begin to ring with the rest of the band. Practice sessions are held every Friday night from 7 until 9pm. If you fancy having a go, come along and join us – you will be most welcome.